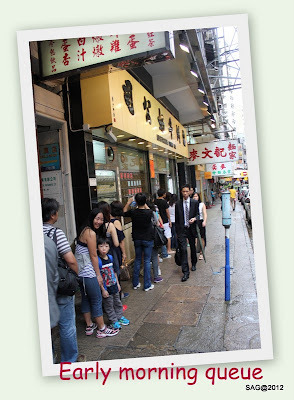 Day 4 in Hong Kong started early for us as we heard about queues forming at the Australian Dairy Company that we wanted to have our breakfast at. True enough, when we reached, there was a queue, although it wasn't as long as expected. I think we were the 5th group. The wait wasn't that long, less than 20mins and we managed to get it. It was really crowded and noisy. Everyone was chatting and the place was rather cramped but quite well organized. Staff seems pretty friendly, even joined in with us to take pictures. 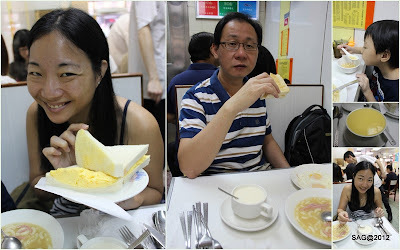 We actually didn't know what to order so we picked the daily breakfast set, their warm sweet milk & egg sandwich. I must say, the milk was just nice.. not too sweet and it is super smooth. Only their macaroni tasted 'normal'. The scrambled eggs were generously plied on top of the warm and moist bread. 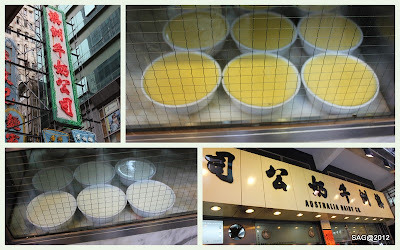 The egg custard milk was also smooth but a tad too sweet for my liking, however, the sweet milk was just nice. We even takeaway one bottle of cold sweet milk. 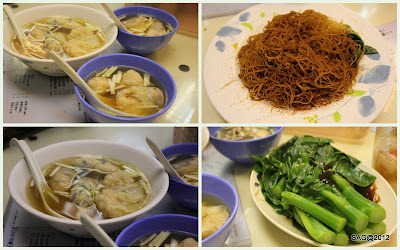 After our hearty breakfast, off to Sham Shui Po for some sight-seeing. We took the MTR down to Sham Shui Po station and this structure greeted us when we emerged from the station exit. 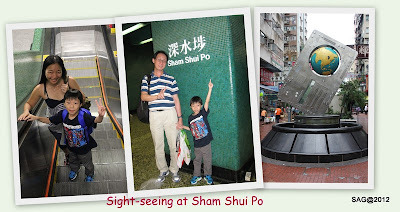 The day spent at Sham Shui Po was lots of walking and looking around us. Not sure why we didn't take as many pictures as expected. 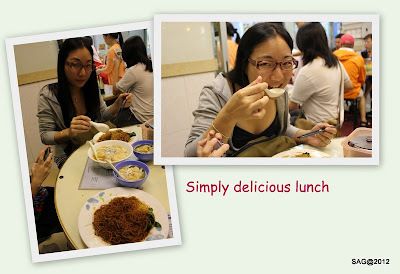 For our lunch, we wanted to try another recommendation from OpenRice. This time, we had to work hard to find the place. We got all confused with the street numbering system and couldn't seem to find the address. Luckily, in the end, as the rains started to fall again, we managed to find the shop. The noodles were springy and the vegetables fresh. The dumplings were big too. It was a hearty lunch. I definitely enjoyed it. After Sham Shui Po, we went back to In's Point again to buy my X-Wing and Baby G's City set. Again not much pictures since we already took In's Point yesterday. 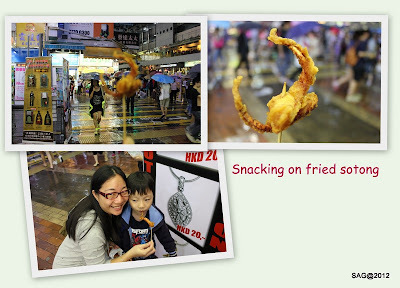 The rains started to fall again and we decided to stop and snack on some fried sotongs. Really oily but crispy and shiok. This day is mostly about eating. I seriously have no idea why there are no other pictures for this day except all the food that we ate. 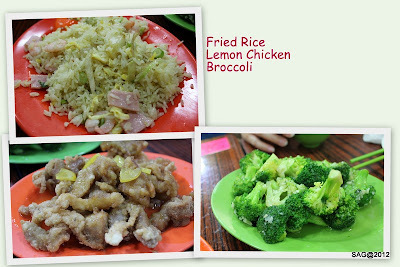 Here is our dinner at the Da Pai Dong store that we happen to chance upon along our way back to the hotel.